The sister course to Lake Marion, Santee Cooper Country Club offers one of the most scenic rounds of golf in the area. Set amidst majestic pines and native foliage, this well-conditioned layout will test you with its series of beautiful doglegs, strategic bunkering and challenging par 3’s. Like Lake Marion, Santee Cooper Country Club has just installed new Miniverdae bermudagrass greens! Make more putts than ever on these amazing surfaces! 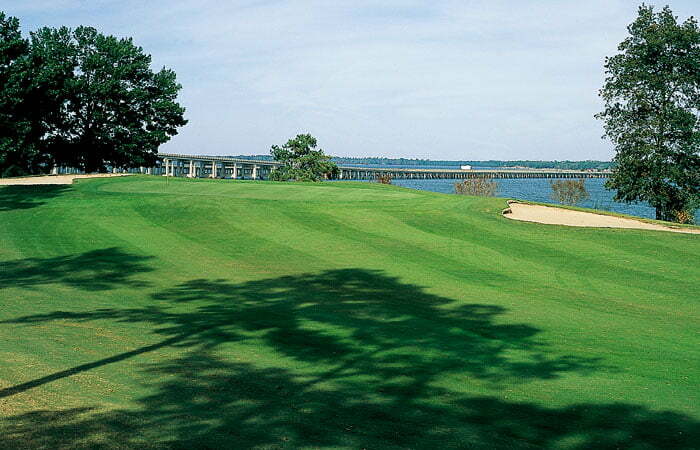 While in Santee, enjoy a round which takes you to the sparkling waters of beautiful Lake Marion. Hwy 6 East, 1/4 mile from intersection of Hwy 6 and I-95. Course entrance on left. Call Pro Shop to open gate. Features: Pro Shop, Snack Bar, Putting Green, Driving Range, Carts, Lessons, Club Rentals, Club Repair and Tennis Courts. Dress Code: Collared shirts required. Golf shorts permitted. No tees, tanks, halters, swimsuits, blue jeans, cut-offs, short shorts, jogging shorts, bike shorts, athletic shorts, or thong sandals.